Honda’s classic old V4 sports-tourer is reinvented and reintroduced and is as versatile and classy as ever – it still can’t quite hide its old school roots, however. Through most of the ‘90s and the first part of the Noughties, Honda’s VFR was regarded as virtually the perfect all-round motorcycle until finally being out-dated and dropped in 2012. This update, though worthy, is a little half-hearted – still a good bike, though. 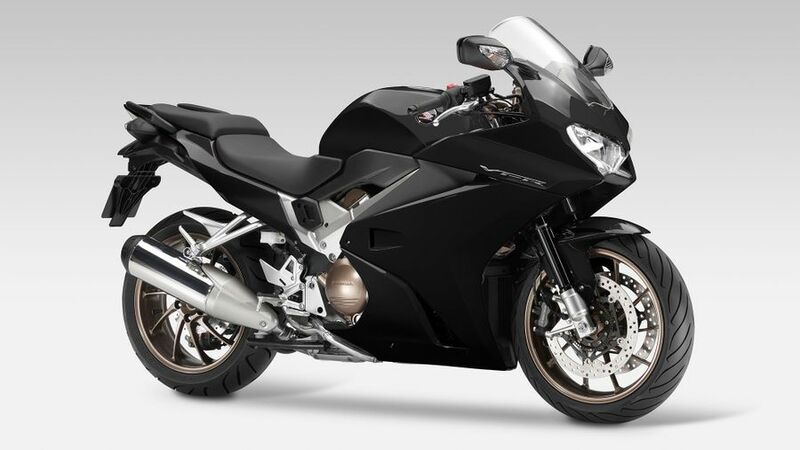 Interested in buying a Honda VFR800F? As updates go, the VFR’s is pretty thorough: updated engine, lighter chassis, new styling etc yet still remaining true to the ‘90s original. It’s also still a classy place to be – if you liked the originals you’ll like this, too. On the downside, though, the looks are a little bland and contrived and the spec a touch basic. The original was peerless. This reminds of that in a modern package but it’s no longer the best sports-tourer out there. If there’s one thing Honda perennially gets right it’s rider ergonomics – and the new VFR is as good as the originals ever were. Simply: you just ‘slot-on’ and everything is instantly ‘right’. Motorcycles don’t get any more natural or intuitive. It’s good for pillions, too – in fact better, as this new version has finally done away with its predecessor’s thigh-cooking underseat exhaust pipes. The VFR was always a peerless all-rounder – so much so that the main criticism most could muster was that it was a bit too sensible, boring even. All of that is just as true of this latest version. 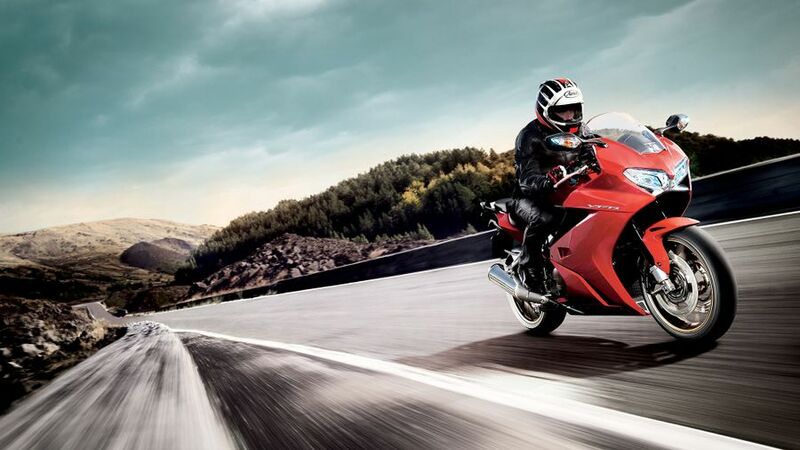 Commuting, sunny Sunday A-road blasts, pillions, long distance touring… the VFR still does it all. It’s not perfect, though, and times have moved on without the VFR quite keeping up. For example, the screen isn’t adjustable, there’s no switchable riding modes and the luggage options aren’t quite as slick as some alternatives, most notably Kawasaki’s brilliant Z1000SX. Probably the aspect where this updated incarnation of the VFR most conspicuously has failed to keep up. Where rivals such as Kawasaki’s bang-up-to-date Z1000SX boast 140bhp, sophisticated rider aids, radial brakes and more, the old stager VFR has ‘just’ 105bhp, conventional forks and no electronics (bar a fairly crude traction control system) – although it does have radial calipers. On the plus side, the V4’s easy, flexible, evocative drive is as good as ever and its brakes, while hardly dazzling, are more than up to the job. Definitely more plush ‘sports-tourer’ than razor-sharp sportster but then there’s nothing wrong with that. One of the most pleasing things about this revived VFR is how successfully it rekindles the easy, intuitive handling of the old – in fact, with slightly less weight to throw around; it’s probably slightly better. The ride, too, is enviably smooth and controlled and, with the suspension front and rear both adjustable for preload and rebound damping, you can fine-tune it to suit your desires – within reason – as well. The VFR has always been a premium machine, albeit slightly less so now, but that doesn’t mean it’s expensive to run. 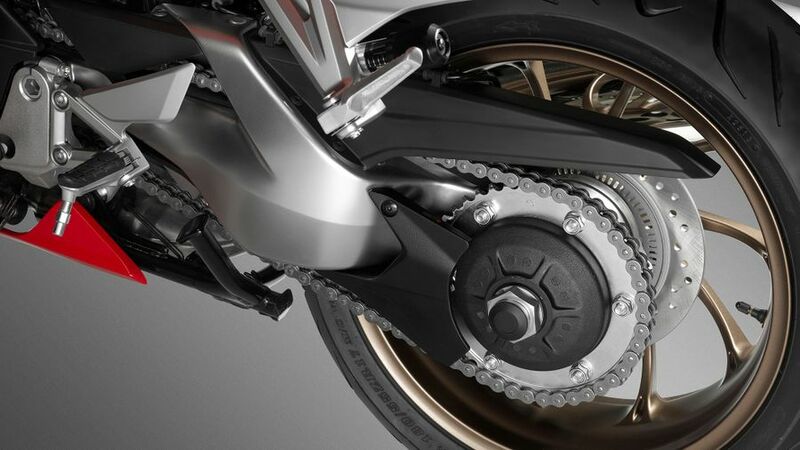 Performance is merely middling, so there’s no reason to expect excessive consumption of the usual consumables such as tyres, pads, chain and so on, nor to they traditionally get ridden very hard. While another plus is that, on the whole, Honda residual values tend to be better than their Japanese rivals as well. Despite its relative complexity, in being a compact, sophisticated V4, the VFR’s reliability is, on the whole, apart from the odd regulator failure and rotting exhaust collector box, pretty legendary – Honda did over-engineer the whole bike to banish the gremlins of its early V4s after all. And all of that is just as true of this latest incarnation as its based on the same mechanicals. What’s more this new one is built to just the same high standards with impressive, quality touches easy to find. 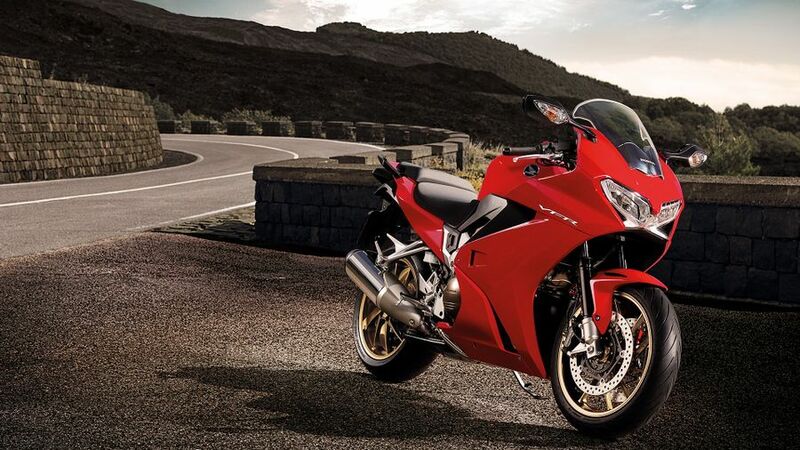 Like with virtually all modern Honda’s the VFR800F comes with a standard, manufacturer-backed, parts and labour warranty that covers the first two years of ownership, irrespective of mileage. As for servicing, basic services are due every 8000 miles with valve checks every 16, which remains fairly typical for modern motorcycles, although, as it’s fairly fiddly to work on, labour time may be a little greater. There’s not that much to get excited about here as the latest VFR, for the reasons described earlier, is effectively an update of an old machine – so don’t go expecting any fancy TFT displays or sophisticated electronic rider aids. That said, heated grips do usefully come as standard, the old school style LCD console is attractive and pretty much contains everything you need and it even has a rudimentary traction control system, even though it appears tacked on as something of an afterthought. There's a centre stand, too. But that, however, is your lot. Though fans of the old, original VFR will be glad this new version exists and it’s capable enough to supply much of the same ability and character it has to be said that it doesn’t move the game on much, either and, although modernized, still feels, well, ‘old’. 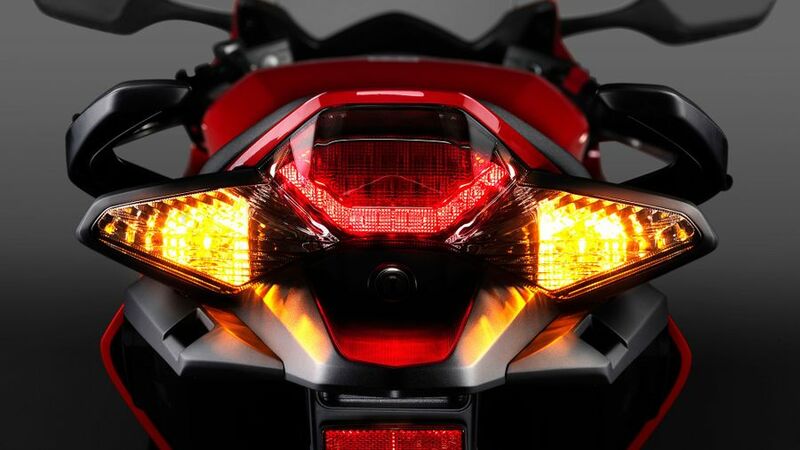 In pure performance and equipment terms, bikes like Kawasaki’s Z1000SX are better sports-tourers. Despite all of that, however, the VFR is still more than competent, pretty much delivers everything you need and has a charisma and class few bikes can match. It’s good to have to you back.